Really easy to use, rugged design and zero snipping! The DEWALT DW735X is the absolute perfect tool for wood planing. This beast of a tool boasts a 20,000 RPM motor, and a 10,000 RPM cutterheard speed. Without a doubt, this wood cutter can shop through larger wood and materials with absolute ease. It comes with a two speed gear box that you can use to effectively change the speed, which in turn helps you to optimize your cutting to perfection. Backed by a strong and reputable manufacturer, this two speed thickness planer has made a huge impact in the world of cutting. We’re glad we managed to get our hands on it to give a good review. Straight out of the box, the DW735X looks like a tame beast. We wanted to get straight to work, so we picked up some oak and had a little test. The first thing we noticed is that this product packs absolutely shed loads of power. In addition, there was no noticeable snipe. The problem with the majority of wood planers is that they have a tendency to produce snips towards the end of boards. We never saw this problem with the Dewalt. Although sniping generally isn’t an issue to most wood cutters, some do take it very seriously. After all, it’s a sign of a brilliant product. With that said, we encountered absolutely no issues with cutting out oak. In fact, our oak was cut to perfection and that’s not an understatement. We don’t deem ourselves to be the best wood cutters in the industry, but I don’t think we need to be with this. The Dewalt DW735X somehow takes away all the pain and strain that’s normally associated with wood cutting. It just does what it’s told. For decades, DEWALT has been a company celebrated for adhering to the highest standards possible for build quality. 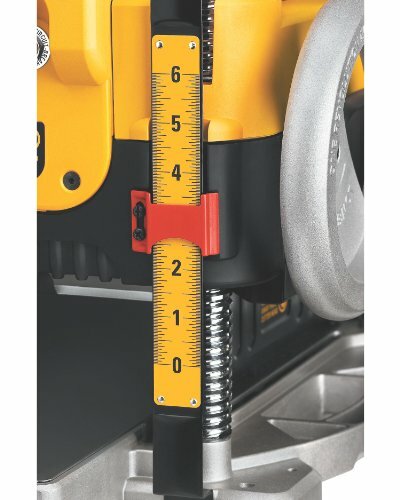 This is a consistency among all their products, which includes a good deal more than DEWALT wood planers. This particular wood planer is no exception. From top to bottom, you have something that is built to last for years to come, keeping proper wood planer maintenance in mind. This wood planer is built rugged, and it is built to be tough enough for anything. On the power side of things, we think you are definitely going to be impressed with how much DEWALT packed into this particular wood planner. 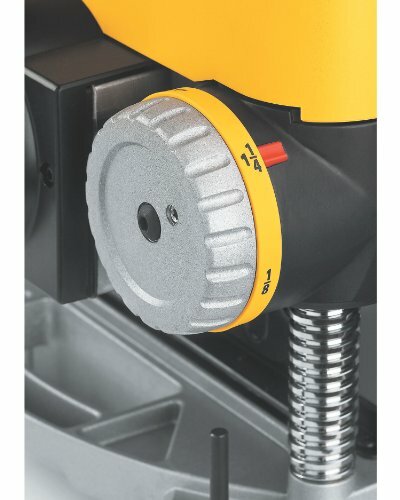 The DW735X offers a 20,000 RPM motor, combined with a cutterhead of 10,000 RPMs. The 2-speed gear box allows you to determine just how fast that power actually moves. You really shouldn’t have any problems whatsoever with the materials you are planning to work with. Larger cuts in wider materials will be a snap. The three-knife cutterhead is built for more than just knife life (which it extends by an impressive thirty percent). The cutterhead is also clearly built for accuracy. You are going to find that even when you are dealing with a particularly challenging task, the DEWALT DW735X is going to be able to give you a perfect cut each and every time. With a fan-assisted chip ejection system, you will be able to easily focus on the task that is in front of you. 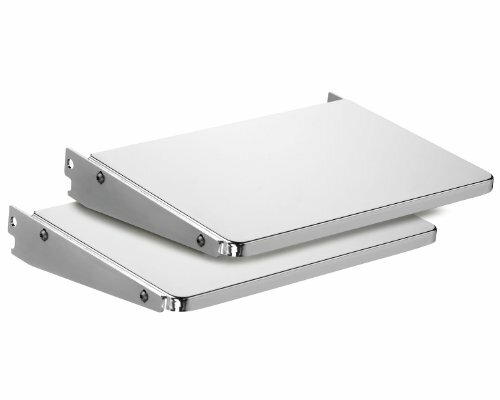 Being able to optimize your cuts with 96 or 179 CPIs is just one element to the cut quality issue. Even when you are working with something challenging like oak, you are going to find that the cut quality remains consistently excellent from start to finish. 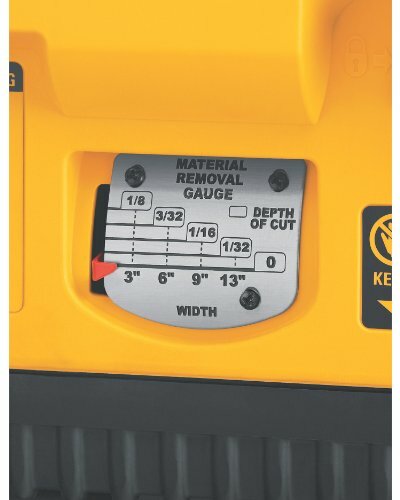 If you need to work with a deep cut, the 15 AMP motor is definitely going to be able to accommodate you. Every pass is going to be accurate, and the depth capacity is six inches. The three-year limited warranty ensures the parts and other aspects of this product are protected from the possibility of defects. Still, this isn’t something you should really count on. 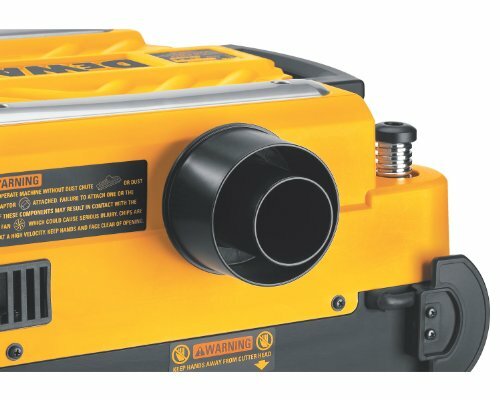 While anything can theoretically break down, DEWALT has a stellar reputation for products that endure and maintain their original purpose. However, if you do have any questions or concerns, you will find that DEWALT can assist you with profound solutions. 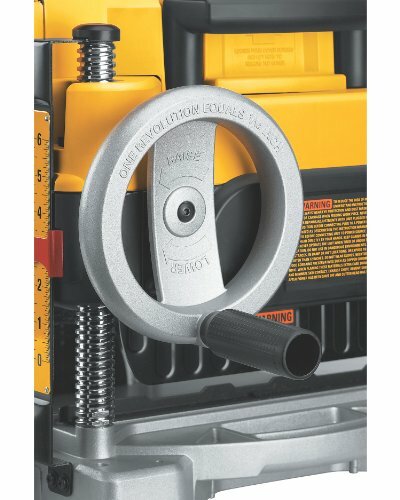 This is one of the best tool companies for customer service. 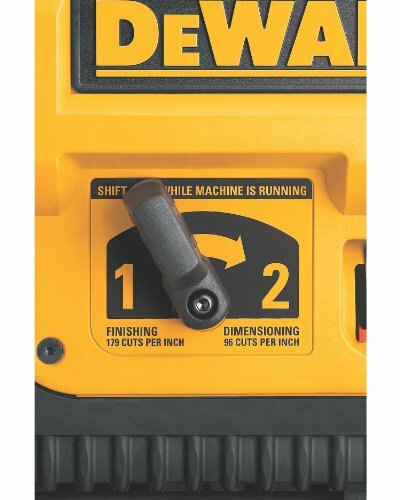 Overall, this thickness planer by Dewalt is an amazing product at a greatly affordable price. It’s the type of product that you’ll purchase if you want perfection in your cuttings. Some of it’s rivals just don’t feel as sophisticated as this tool. We love the fact that no sniping occurred, and the fact that the machine just makes the whole job so much easier. We would recommend this to absolutely anybody with a passion or need for cutting materials. 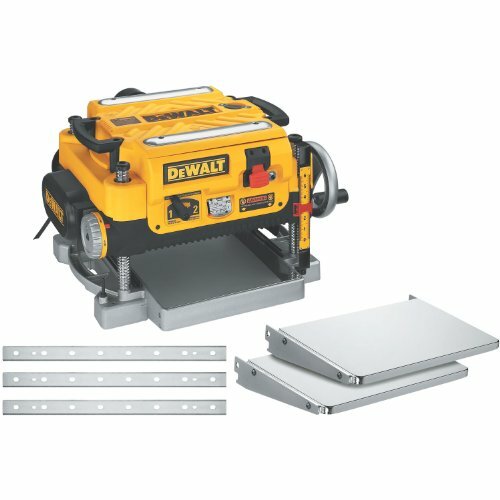 So, where do you buy this planer at a good price? We looked all over and found that Amazon.com has the best price on the DW735X. Amazon is known for having great discount on items, but they often run out of stock. As of this review, there are only a few left… so we suggest you head over and see for yourself if you’re interested. Pros: Really easy to use, rugged design and zero snipping. 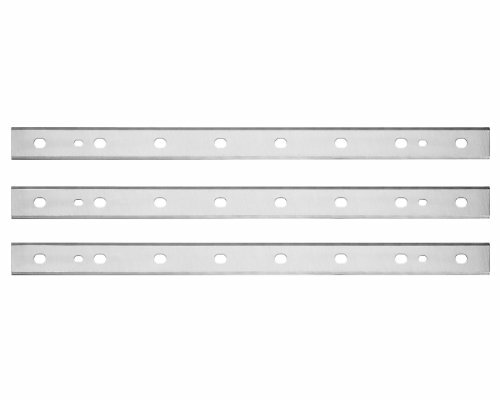 Cons: Blades are not much of a major advancement over the DW735.